This is the daily Merry Blogmas 2017 short science post for December 17. 2017. | Today’s topic is boric acid. Seriously, I really should have saved this up for my other blog but this blog is on a schedule. Thus it gets priority these days. I was calmly surfing the net, looking at do-it-yourself recipes using borax, when I came across a site that I refuse to mention here. This unmentionable site not only recommended using borax as an insecticide for roaches, which is a waste of good borax, it stated that the mineral sassolite was a ore mineral for boric acid. No and No. No no no no no! And in case you didn’t catch that: No! Let’s look at these one at a time. First borax, then boric acid, then sassolite. Here’s some information on borax, better known as sodium tetraborate, sodium tetraborate pentahydrate or sodium tetraborate decahydrate. Borax is mined. More than half of it comes from the deserts of Southern California. It’s a soap and laundry detergent good in hard water. It has an important use as an assay and soldering flux. Borax is also approved by U.S. Environmental Protection Agency (EPA) for use in commercial ant baits. It’s not approved in powder form for roaches, fleas, or other insects. Don’t use borax powder out of the box on your carpets for roaches or fleas. Also don’t spread it anywhere pets or children can get into, like cabinets and drawers without child-proof latches. While it’s not hugely toxic for humans, the stuff is an alkaline laundry soap, folks. Do you really want your kids and pets sniffing or ingesting caustic laundry soap? It’s a powder that will get ground down into dust in rugs, furniture and carpets. Everyone will end up breathing it in, Your pets will ingest it when they groom themselves. It can make your kids sick and your pets sicker. It will cause nose irritation and upset stomachs. Worse yet, it’s not going to kill your roaches any better than any other powdered soap. It might desiccate a flea or two but seriously, when was the last time you saw a roach frolicking in your laundry soap? Don’t use borax powder as an ant bait either. Commercial ant baits have carefully-proportioned liquids or gels made of borax and sugar. The ants raid the stuff for the sugar and take a researched dose of borax home to their colony to poison their queen. Just borax out of the box will not achieve the same effect. 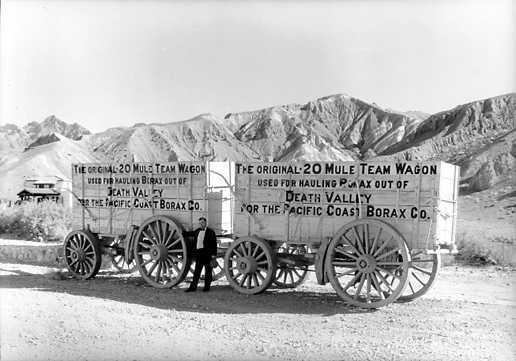 Photo from Death Valley National Park, where borax was once mined, in the public domain. Boric acid is made from borax. Sometimes liquid and gel ant baits use boric acid instead of borax. The EPA has approved it in powder form to kill roaches. It essentially constipates them to death. You should place boric acid only where pets and kids can’t reach. That doesn’t include your carpet. Less is more. Roaches will avoid walking through too much boric acid powder. All you need is a barely-visible dusting. The commercial borate compounds for killing fleas in rugs and carpets are not plain boric acid. These compounds are based on boric acid but are treated with granulation agents to prevent the creation of borate dusts. These modified borate compounds are designed to be blown into the base weave of your carpets. Then the excess is removed, again to minimize dust exposure. It takes a commercial-grade vacuum cleaner to remove excess flea treatment compounds out of carpets. Do-it-yourself boric acid treatment of your own carpet can expose your kids and pets to boric acid dusts. This can make them sick just like using borax in your carpet. I’m not going to tell someone not to try their own own boric acid carpet treatment for fleas. How you chose to poison your own kids and pets is your own affair. If you use anything less worthy than a commercial-grade vacuum cleaner, you’re a fool. 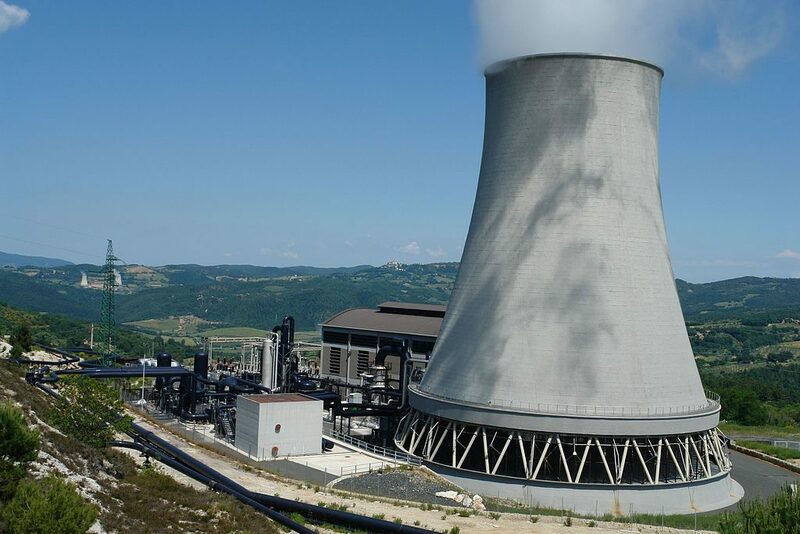 Sassolite was first identified as a mineral at the Sasso Pisano geothermal area in Tuscany. In its pure form, it is white or transparent. It occurs in two different settings. In geothermal areas fueled by active volcanism, it forms next to steam vents and hot springs. These sassolites are often yellow from sulfur or reddish-brown from limonite. Sassolite also occurs as a minor mineral in borate-rich evaporite deposits, like those mined in California or Turkey. 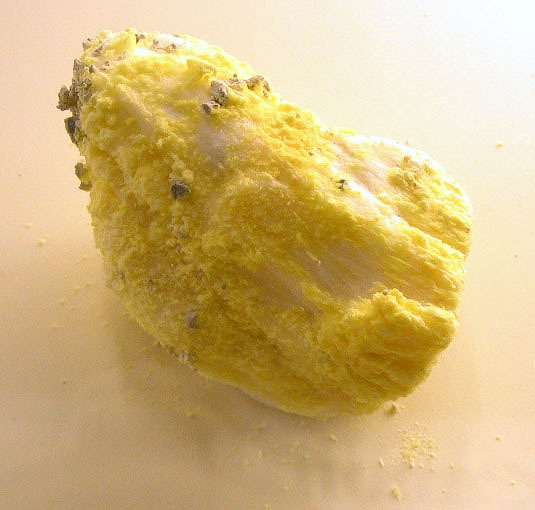 Borax, kernite, and colemanite are the main ore minerals of boron and borax. Sassolite is not an ore mineral. Rather, it is an uncommon borate and a rare mineral. There are no sassolite mines anywhere. There are only colemanite, kernite and borax mines. Sassolite really is roach-killer rock. It’s naturally-occuring boric acid, H3BO3. If it wasn’t a mineral oddity, I suppose you could use it to kill ants and roaches in your kitchen. The banner image today is a specimen of Italian sassolite in the Natural History Museum, London. Photo by By Aram Dulyan (2006) in the public domain via Wikimedia Commons. The Terrible Menace of Kaolin Pesticide! I have a recipe for borax and corn syrup. Works wonderfully well!